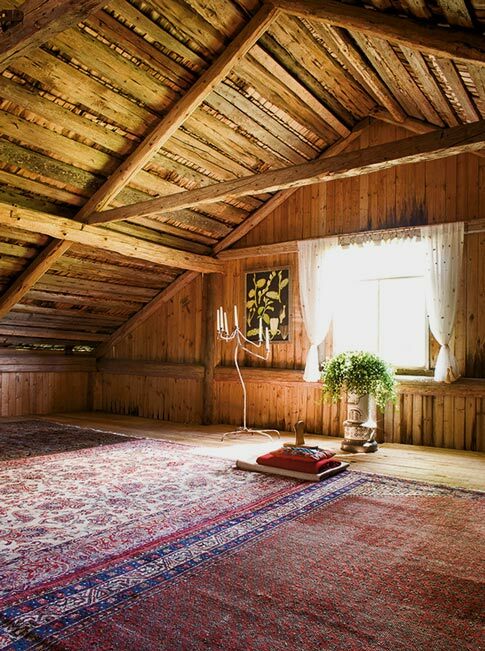 There's something cozy and truly grand about attics and their cathedral ceilings. The ones with the chandeliers are spectacular. wow some of these rooms are amazing! I especially love the first one!! sign me up for that last one. I probably would never leave though. who needs a social life anyway, right? I really love the ones which turn the roofs into a huge source of natural light. so gorgeous. Wow, beautiful! I love the 5th pic down… typically you think of attics being dark, but that is so bright and cheery. Makes me think of the Mediterranean, actually 😉 … Like you're own Med getaway right in your house! these homes are phenomenal. seriously amazing! 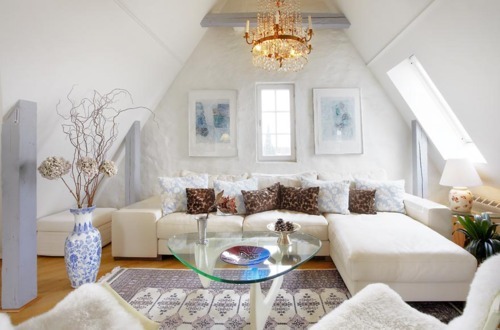 Love the pop of white in the attic – it really brightens the space! These are lovely photos. My room is the attic. My parents finished it when I was younger so it is very pink. The one thing I wish they would have done was leave all of the original wood exposed. Instead, they plastered and painted over it. Now I am dying to rip up the carpeting and see the wood underneath, but they have warned me it is probably in terrible shape. I had just earlier seen a blog with them showing off their attic space that had just been renovated and you magically posted this too! Very jealous! apartment living in San Francisco is sometimes not glamorous at all! I love the cozy, intimate feel of them. Oh my gosh, the one with the pool?! These are so dreamy! 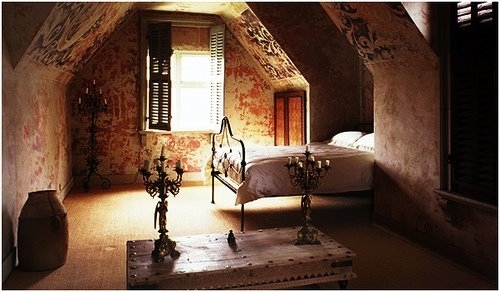 i am also in love with attic rooms. You are so lucky to have an attic room. 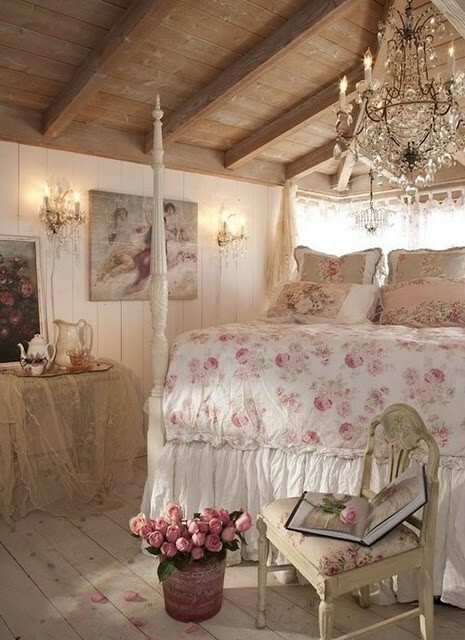 I have always loved those rooms as a little girl. I like the very bright white pallattes the best. Would make a great older kid room (too impractical for a nursery) especially for a girl. 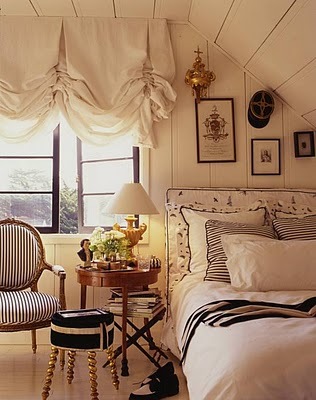 But for now what a lovely guest room that would be if you tend to have guests a lot. 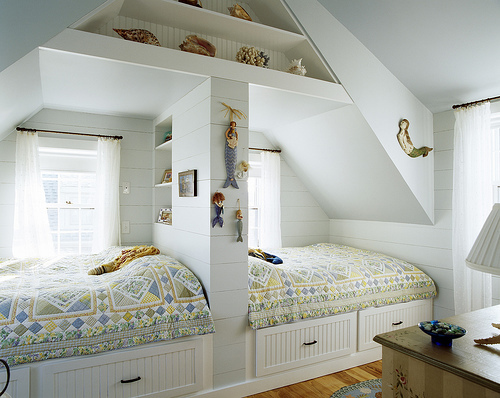 omg these attics are so amazing! i wish i had one now, just so i could decorate it! The room with the yellow headboard is so calm and happy. I would love to go to sleep every night in a room like that. I always thought I'd be at a loss in such a room, because of the slanted roof walls that take away a lot of the space you'd have in a regular room. But I have to say, these pictures sure prove me wrong! They are all so creative and beautiful! hey E thanks for dropping by! 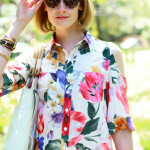 i like the bright lips in your last post. i like these settings but only if the attic ceiling's very high else i'd feel closed in. Nice inspiration. 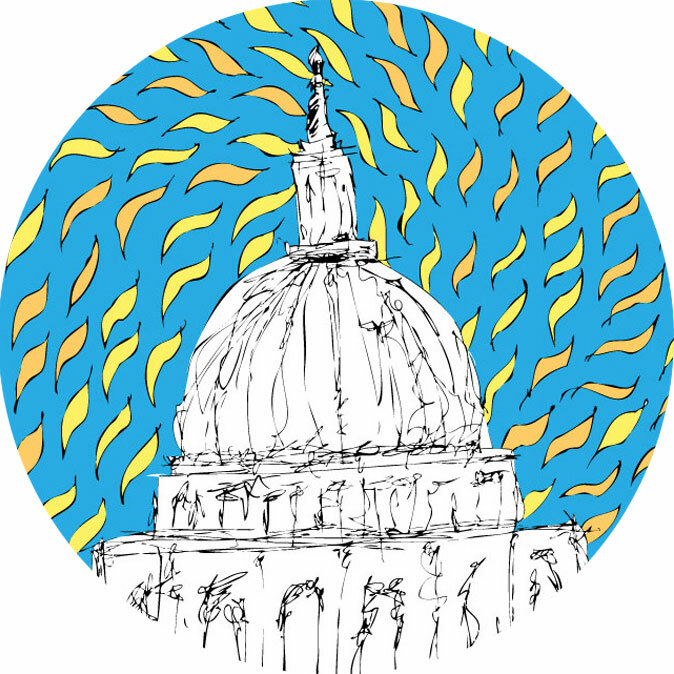 As a student, I had an attic room and loved it, it was my cosy little nest and I had a beautiful view over the city. 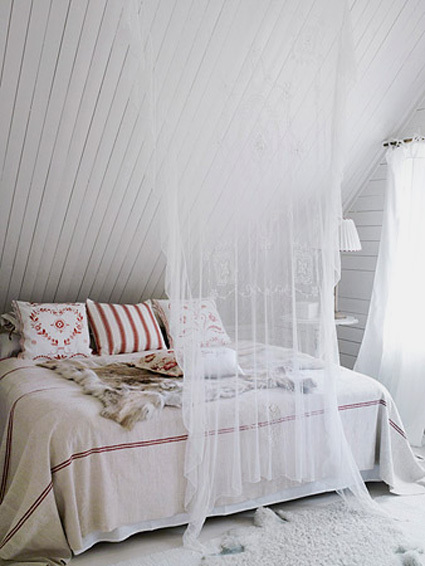 I love attic rooms, so cosy! The first and second rooms are to DIE for! 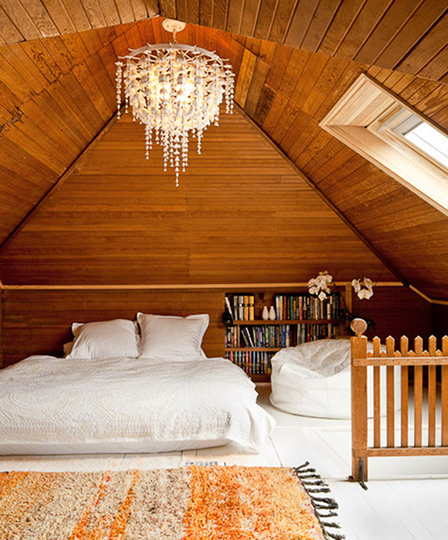 Oh how I would love an attic like that! Nice pictures. 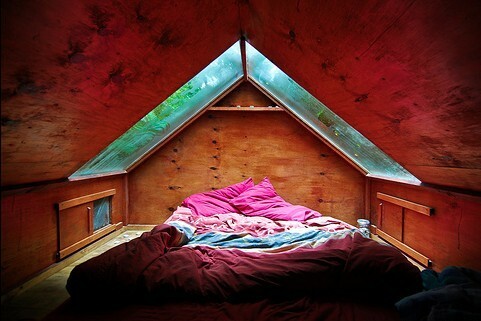 I would love to have an attic. And it would definitely not become a storage room like so many ones I have seen. 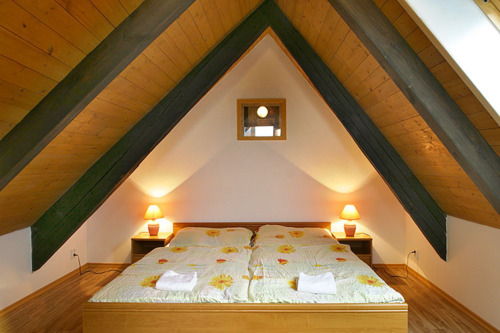 I have a real soft spot for attic rooms! When I was a kid my best friend's house had a playroom in the attic. It was totally redone to be a kid's wonderland. Just thinking about all the hundreds of hours I spent up there brings a smile to my face. I can't wait to see what you and B do with your attic space. These are amazing!!!! 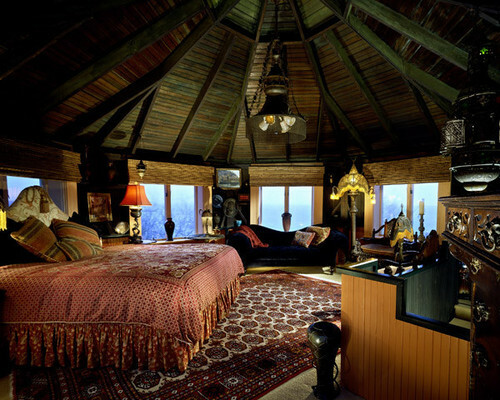 My grandparents have the most incredible attic, and I would give anything to have a house with an attic similar to it. It looks a lot like some of these photos. It's huge though. I think you should make yours very cozy. 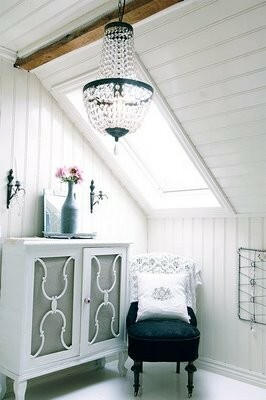 I always wanted an attic room when I was younger and these photos are really making me want one again! 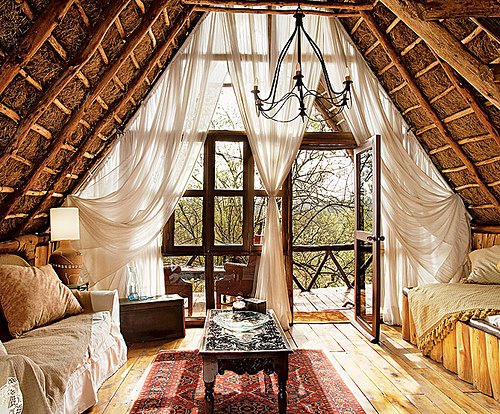 I've never seen attics look so pretty. I love the room that matches the dress. 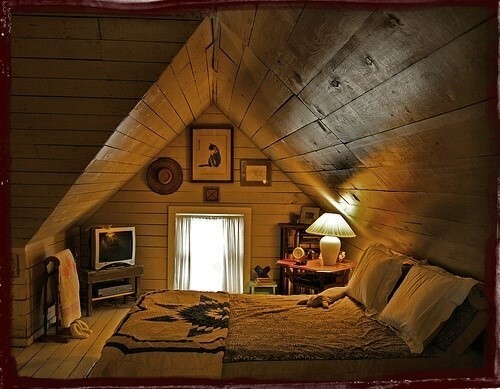 I can honestly say I could live in any one of these attic rooms and be completely happy. There is something so cozy about them. These are all so wonderful, but I especially love the well lit picture at the bottom. It looks like a dream world!